When you get dressed for your yoga class, do you ever look in the mirror and laugh at its uncanny resemblance to the workout clothing of yesteryear? The cyclical nature of top fashion trends leaves us cringing for just a short while before we adopt the same trend again decades later. Many yogis are now beginning to take note of how closely their own workout clothing resembles the forefront of fashion from the ‘80s. How closely does your outfit resemble the ‘80s costumes for working out? Find out which pieces of clothing you may be wearing that are a definite throwback to an earlier era. It’s no secret that one of the primary features of a workout costume from the ‘80s were the fluorescent leggings, worn by both women and men. Eye-catching shades were the primary preferences when it came to donning workout apparel, with the tightest and brightest leggings being the most popular. Many even featured bold patterns, prints, and other features that just a few years ago would have made us laugh. Now, we see the same leggings making a comeback on the modern-day yoga fashion scene. While the iridescent and fluorescent shades have yet to rise to fame as they did in the ‘80s, leggings are the preference for many yogis. Solid colors, especially black, are the first choice but many are becoming confident enough to make bolder fashion choices with bright colors and patterns as well. The ‘80s brought with them a vast collection of high-waisted leotards to ensure that the maximum amount of legging was visible. They were often paired with the brightly colored leggings in similar shades, some of which made us cringe at their abandonment of traditional color theory. If the goal was to create the most outstanding outfit, the leotard was definitely the finishing touch. Today, not many yogis wear the leotards that former workout enthusiasts were known for. However, they do tend towards tighter-fitting athletic tops or crop tops. Both of these choices allow for the largest amount of legging to be shown, similar to the prominent styles of the ‘80s. For women, the final touch was the headband to hold back voluminous waves of hair. It was also found in neon colors to tie together all of the other accessories of the outfit: wristbands, sweatbands, and sneakers. Rarely were these head ornaments considered plain pieces that were just casually thrown together with the outfit. Today’s athletic apparel manufacturers often create their own line of headbands, complete with patterns and different styles that weren’t so readily available in the ‘80s. In fact, in many ways, today’s styles are an improvement over the shortage of headbands that were seen in the prior decades. Yogis can choose from a colorful array of prints and patterns, all specifically designed with your movement in mind. As the years pass, previous styles resurface with a vengeance. If you look carefully enough, you may begin to see the styles of the ‘80s shining through your yogi’s wardrobe. 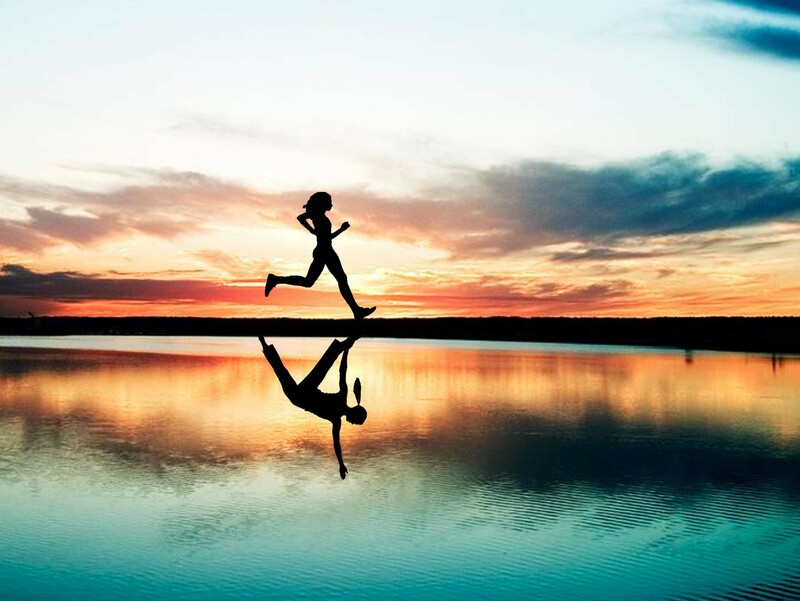 Running and jogging are great ways to be fit and stay in shape. Still, it can put a lot of pressure on your knees and lead to injuries if your body is not well-prepared. These yoga poses presented below will help you avoid such issues and they will provide the necessary body flexibility to assist you during a race. This yoga squat resembles a classic fitness squat. There are some differences that reflect the way you must maintain your body’s balance. To begin, sit in a squat position where your knees must be over your toes. This is quite different from a normal squat. The Garland Pose-Squat should create a 45-degree angle, instead of 90-degree, between your legs and the midline. Hold your palms together like in a prayer and keep your heels off the ground while supporting your body on your toes. Don’t worry if you cannot do it from the first time. Begin with your heels down and lift them up once you gain a little more experience. Hold this asana for ten breaths. This is an essential yoga asana for all runners. Lie down on your abdomen. Lift your upper body while bringing your hands straight in front of your upper body. Your palms should face the floor. You can also do this pose by stretching your arms back. Also, try to lift your legs and maintain your lower and upper body lifted simultaneously. The only parts remaining on the mat as a support should be your upper thighs and abdomen. It might look easy but it is quite challenging especially because you must hold this pose for up to ten breaths. Also, the ideal situation is for you to repeat this runners’ asana three times. If you’re familiar with crunches, then the boat pose will seem easy to do. It is true that this pose is more difficult than a simple crunch because it engages the entire body, not just the core area. Sit down on the mat and create a V shape with your body. One side is formed by the torso and the other V side will be created by your legs. First, lift your legs off the ground, and then keep them stretched out while pointing your toes towards the ceiling. Tighten up your abs and maintain your hands in front of your chest with palms facing up. Hold this pose for about 15 seconds, and do at least three repetitions. Stand up tall and bring your right leg back while bending your knee. Grab your ankle with your right arm. The left arm should be lifted in front while you push your right leg back as far away from your torso as possible without letting go of your ankle. Hold the dancer pose for at least five breaths before releasing it. This is a great position that improves your balance, which leads to a more efficient run and fewer injuries. You should try the yoga poses mentioned above if you want to reach the next level on your running game. These asanas are practiced even by professional athletes that want to avoid knee or joint injuries. As a matter of fact, these poses will strengthen you physically and mentally. 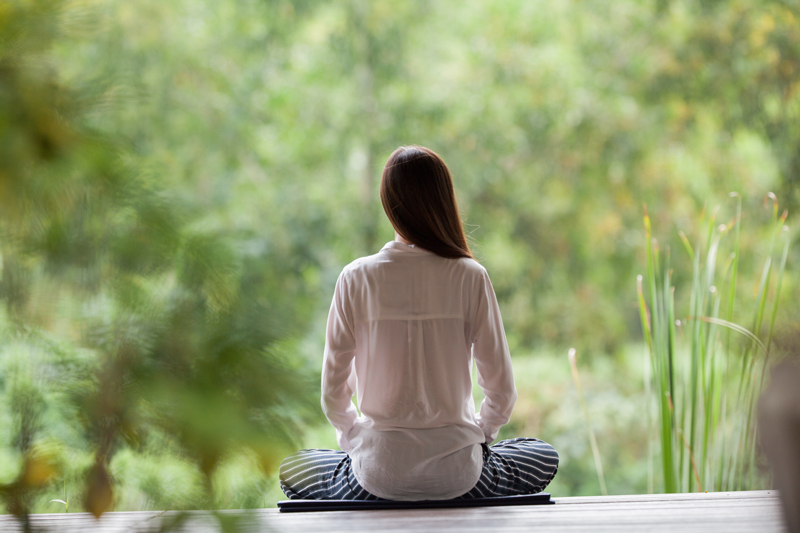 Today I want to build a meditation guide to accompany your yoga practice. This is nothing spiritual and it doesn’t have to be practiced any specific way. Just do what feels most natural and comfortable for you. Find a safe space, and embrace the security of this moment. This practice is designed to assist you as you seek inner calm and self-discovery. First, I want you to focus on your breath. Inhale and exhale. Inhale and exhale.With each inhalation, imagine positive sparks entering your body, rejuvenating your lungs so that they can breathe more fully. With each exhalation, discard any remnants of self-doubt from within, cleansing the body of its insecurities. Next, repeat this phrase in your head, or even out loud: I AM ENOUGH. You are just the way you are supposed to be. No matter how today goes or how yesterday went or how tomorrow will go, things will happen as they are meant to. Many things are out of your control, but you control your reactions to what happens around you. You belong to yourself. Whenever you feel like others are looking down on you, remember this phrase. When life comes crashing down around you, repeat this to yourself. You can endure because it is what you were made to do. Now, repeat the phrase: I AM STRONG. Picture a waterfall, a stream careening off of a cliff and falling toward the pool below. In that current, there is a force that cannot be stopped. That same force from within the earth is within you, a human of the earth. Your strength comes from a root of self-knowledge that is enhanced the more time you spend with yourself. From a depth many overlook or choose to ignore, we tap into that current of strength which we can use to fuel our determination and willpower to succeed. Lastly, repeat this phrase: I AM HERE. This phrase is potentially the most powerful of all. Feel the ground beneath your feet. Embrace the energy pulsing through the earth. Solid ground is reassuring, comforting. Listen to the silence around you, or the noise. The air is holding you up. Here in this moment, stay present. Focus back on the inhalations and exhalations, the breath. In and out, in and out. Here you are. You are on this earth. You are in this body. You are a human being and you have a purpose. You are here. Here’s a meditation music video that might help you relax even more.